If you are mining Merit (Cuckoo Cycle Edgebit 26), Bitcash (Cuckoo Cycle Edgebit 27) or SUQA (X22i) on AMD or Nvidia GPUs you might want to check the just released update for the zjazz CUDA and OpenCL 1.2 closed source miner and start using it or just upgrade if using older version. 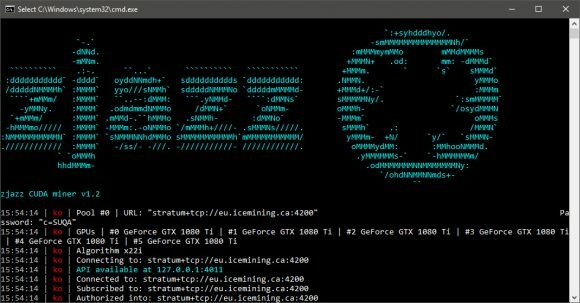 Both the AMD and the Nvidia versions (separate downloads) of the zjazz 1.2 miner come with stratum connection stability improved (should help efficiency on all supported algorithms), but AMD users also get some optimizations added to X22i algorithm or with other words some additional performance increase should be noticeable. The Cuckoo Cycle algorithm used by MRT and BITC is CPU intensive and the zjazz miner provides multiple options to reduce the CPU load if you are mining on a GPU mining rig with a slower processor that is having trouble coping up, so make sure you check these out. Do note that the zjazz miner is a closed source software available as binary releases for both Windows and Linux and comes with a built-in development fee of 2%.